Every year the annual Bird of the Year campaign (run by Forest & Bird) goes by and I think maybe I should campaign for a bird, well this year I decided to go for it! I asked my friend and fellow artist Hannah Shand if she’d be interested in campaigning with me, she immediately said yes and we begun to think what bird would be fun to campaign for. We wanted something relative to Wellington and decided on Robins of course! 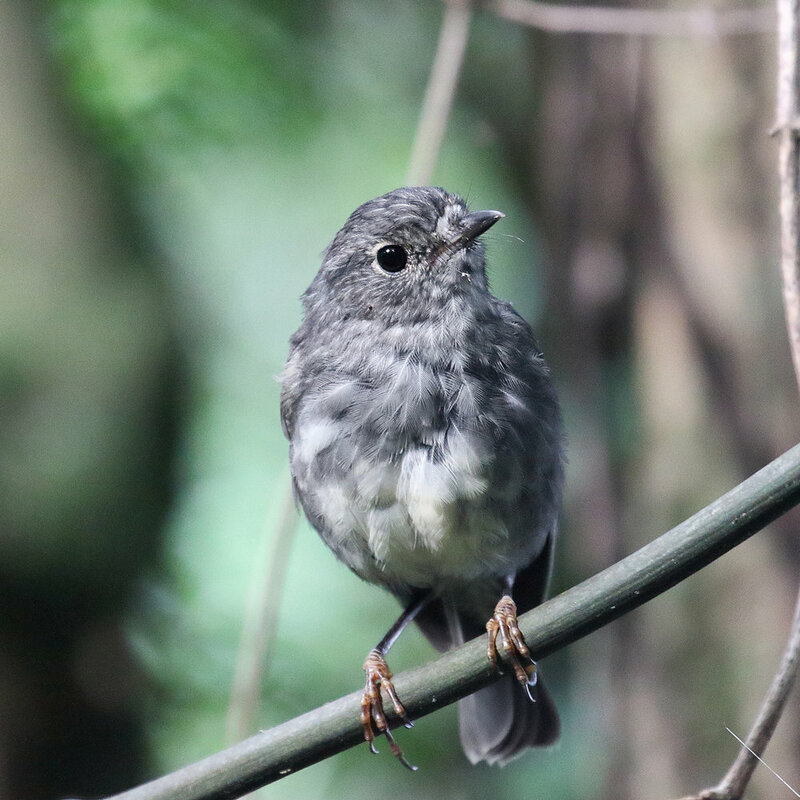 Robins have always been my favourite bird, and there is a population of them close by at our favourite sanctuary, Zealandia, so it was a pretty easy decision! As part of our campaign we thought it’d be a fun idea to each create a Robin artwork in our different artistic styles in a way that would compliment each other. To encourage voting we are making prints of each of our Robin illustrations and we’re running a rolling giveaway over both our instagram and facebook pages. We are also sharing cute photos and videos of our little forest friends and one of our videos even got featured on the news! Pretty exciting. Bird of The Year is an fun but educational annual event run by Forest & Bird to raise awareness about the conservation status of our native birds. 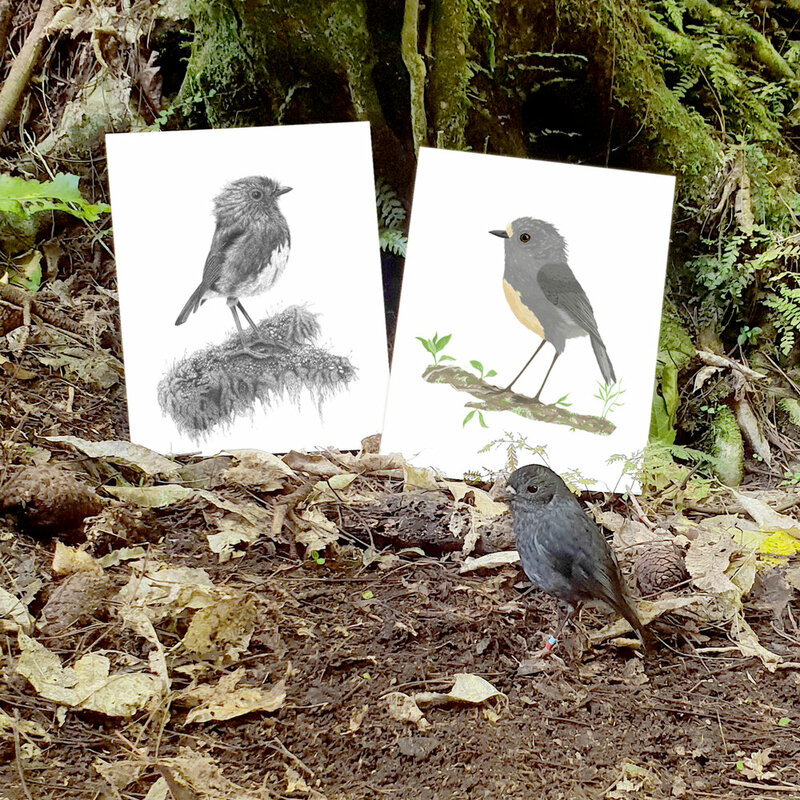 If you want to vote for the Robin, and go in the draw to win a pair of prints go to www.birdoftheyear.org.nz then visit both Hannah and my Instagram & Facebook pages and let us know you’ve voted! My instagram here & My Facebook page here! Hannah’s Instagram here & Hannahs’s Facebook page here! A little Robin posing in front of our prints!! I think he approves!